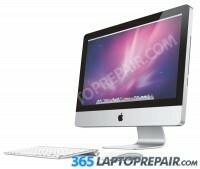 Send in your iMac 27 and our certified and experienced Mac techs will fix it for you! Turn around time as little as one day! Ready to get started? Click the "Add to Cart" button below to check out! We accept credit cards through Authorize.net as well as payments through PayPal. 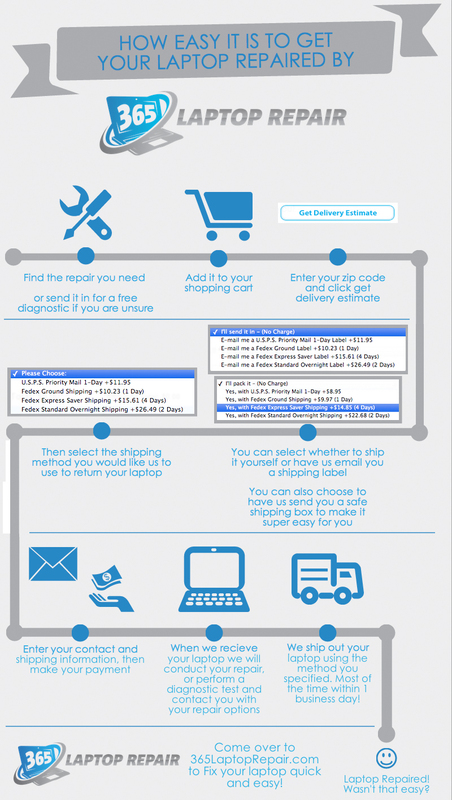 Need help figuring out our checkout process? We have videos that explain the process below! Also see our infographic that shows how easy it is to fix with us! With the many methods to ship your computer to and from our warehouse in Los Angeles, its never been eaisier to get your computer fixed. You can pack your computer and ship it to us yourself, or you can let us send you a pre-paid shipping label as well as a secure shipping box to enure the process goes smoothly. Want to perform the repair yourself? Buy the replacement screen for only $499 by clicking on the button below! We have a tutorial video that shows how to perform this repair! You may also find the iFixit guide helpful. Everymac is very helpful for identifying if you have the A1419 iMac. Replacement glass and LCD part only $499! Feel free to get hold of us with any type of question about our parts! Questions about why your iMac isnt working? Ship it to us for a diagnostic! You only pay shipping to and from our facility! We will let you know as soon as we recieve your iMac and then conduct a full diagnostic to find out just what the problem is. Once that is completed, we will contact you with our findings and what we think the best course of action in order to fix it is. Should you choose to have us fix the problem this diagnosis service is free! If you decide not to have a repair performed by us there is a $49 diagnostic fee. Contact us if you have any questions about this process! The service that we offer for the iMac 27, model number A1419, includes cost of a new LCD screen plus front glass as well as installation by our technicans. We include a "No Dead Pixel" Warranty in addition to a 6-month warranty on the parts and repair service. We only install genuine new LCDs, not aftermarket or cloned screens. The the APN is 661-7169. The secondary part number is LM270WQ1 SD F1. Check out iFixits iMac 27 screen replacement guide or our How To video at the top of the page for info on how to use this part. This is the recommended service for damaged or cracked screens. Feel free to get hold of us with with any questions or if you need something other than a screen repair via our Contact Us form.